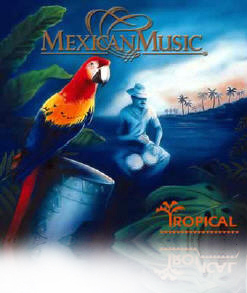 In Mexico when we speak of tropical music, we mean dancing music with a strong African influence. This covers danzones, mambo, cha cha cha, salsa, sones… This album includes songs by Damaso Perez Prado, Tomas Ponce, Consejo Valiente, Ramon Marque, Rafael Hernandez “El Jibarito”. This CD includes a leaflet with detailed information and history of the music genre & songs in English.